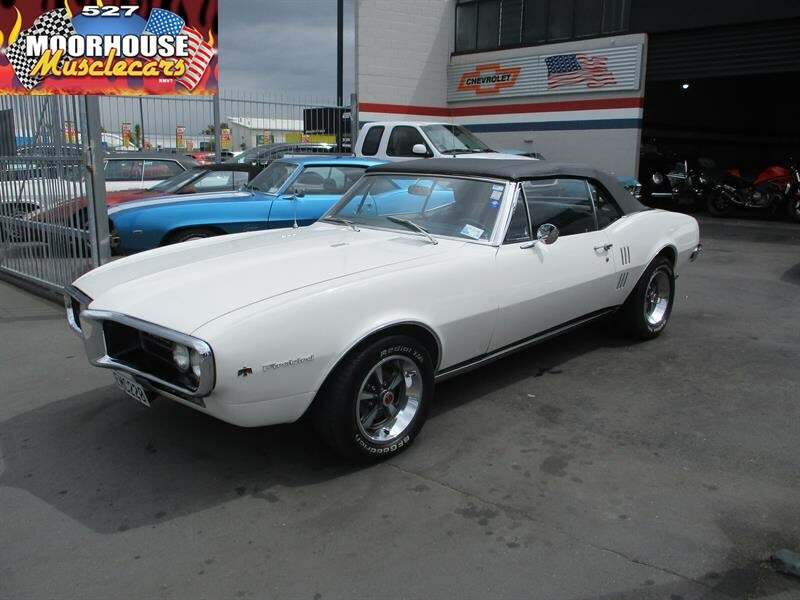 The birth of an American Legend! 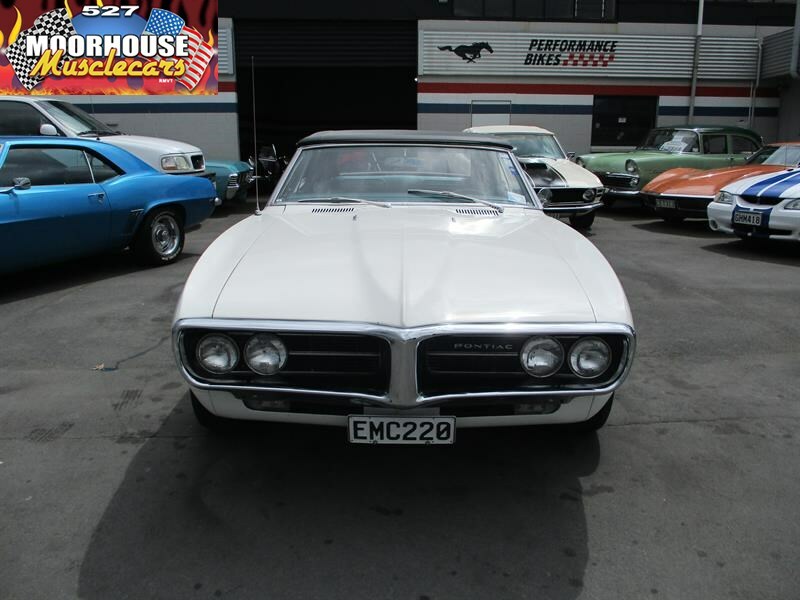 This very significant Pontiac marks the first year for production of the Iconic Firebird model line, truly one if GMs finest moments in Muscle Car design. 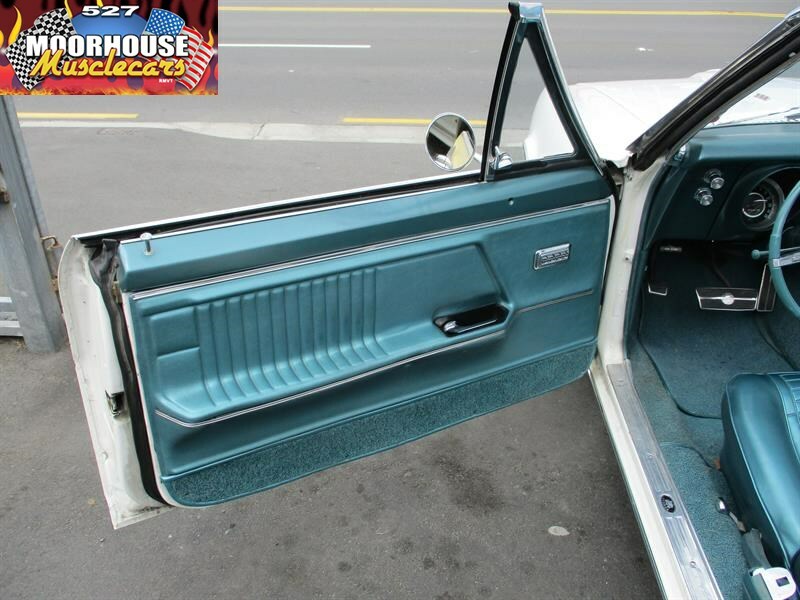 This gorgeous Cameo Ivory example has clearly been cherished all of its life, and it shows throughout. 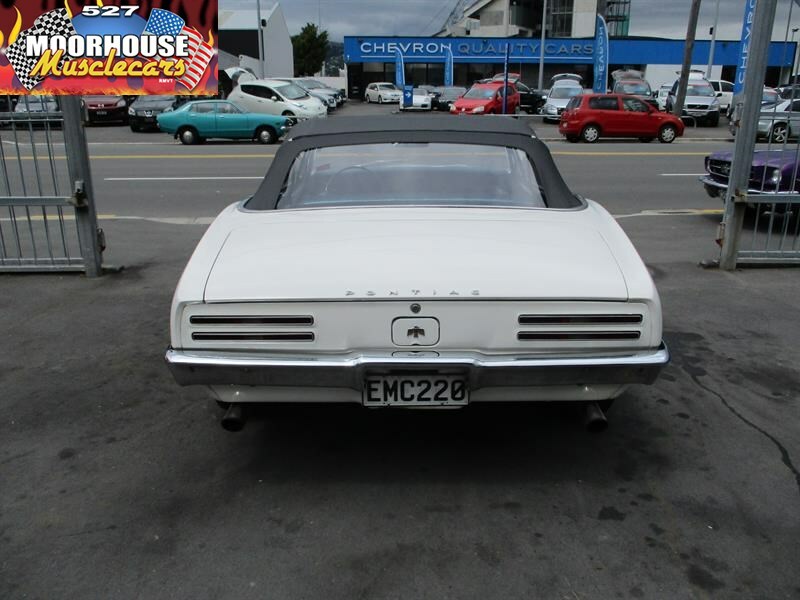 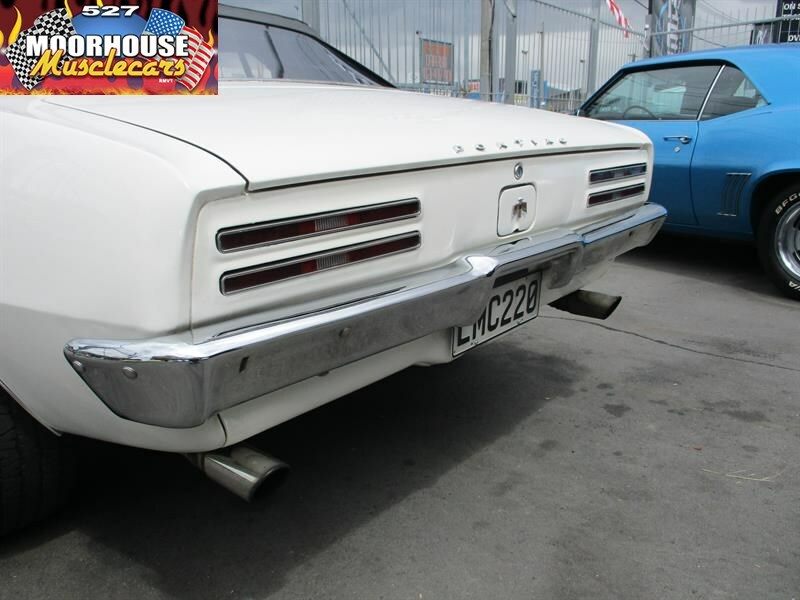 This stunning example has recently been released from long term ownership coming from Sunny Central Otago, and has been a dry warm climate car its entire life. 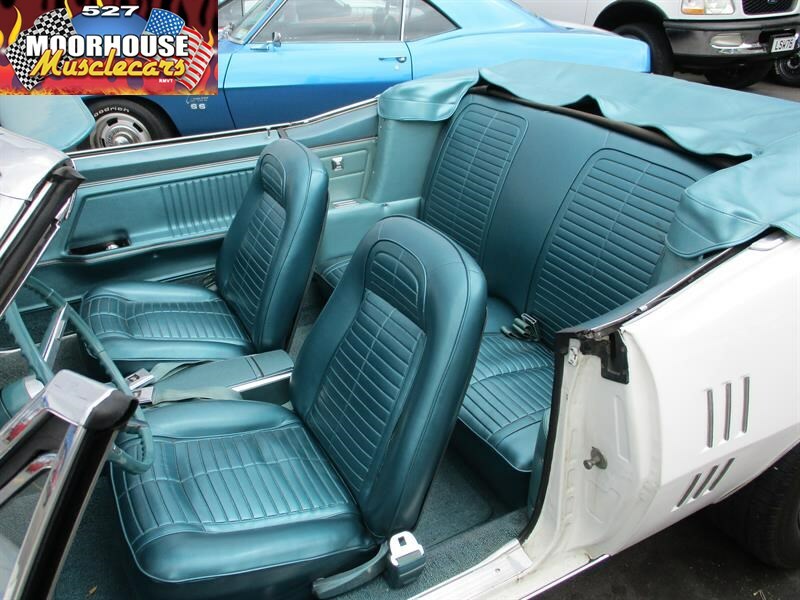 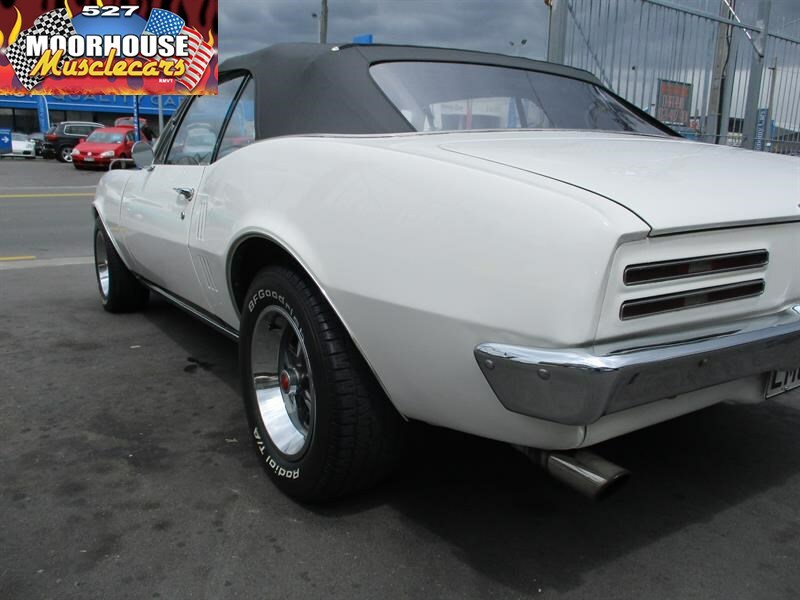 Purchased many years ago as a low owner low mileage survivor this example has received a detailed and sympathetic cosmetic restoration bringing it up to a lovely standard of finish as displayed today. 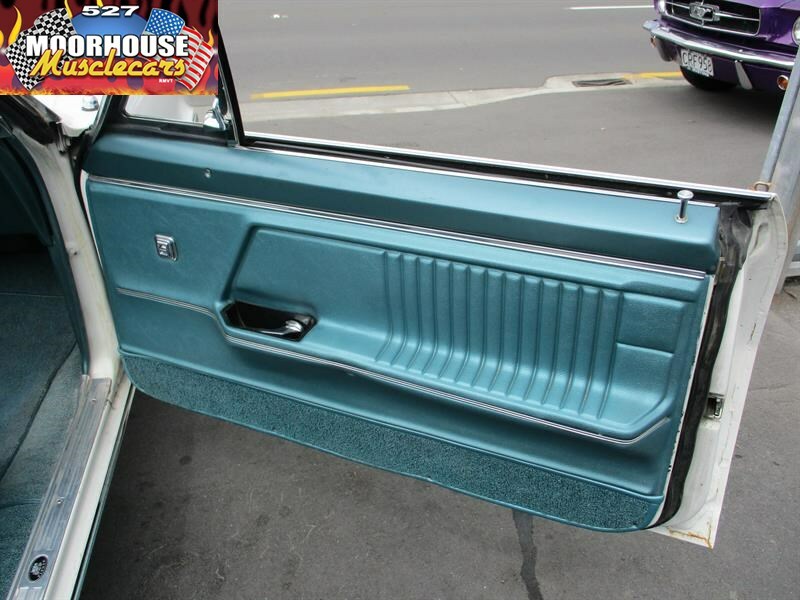 A detailed photographic record of the work carried out accompanies this example and shows just how good the bare body actually was prior to receiving the quality repaint, with attention to bodywork clearly being at the fore front on the detailing. 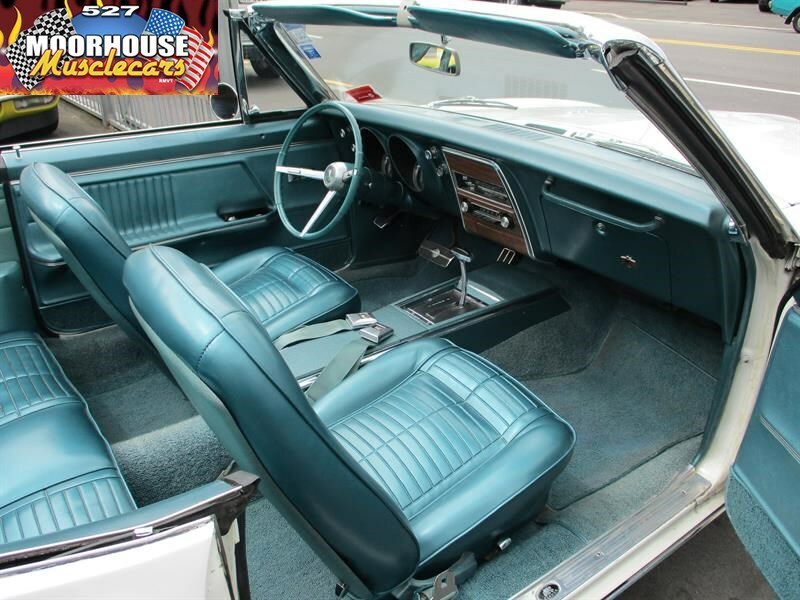 A full correct Deluxe interior in stunning light blue metallic fitted at the time really complements the Ivory paintwork, and adds a classy style to this gorgeous machine. 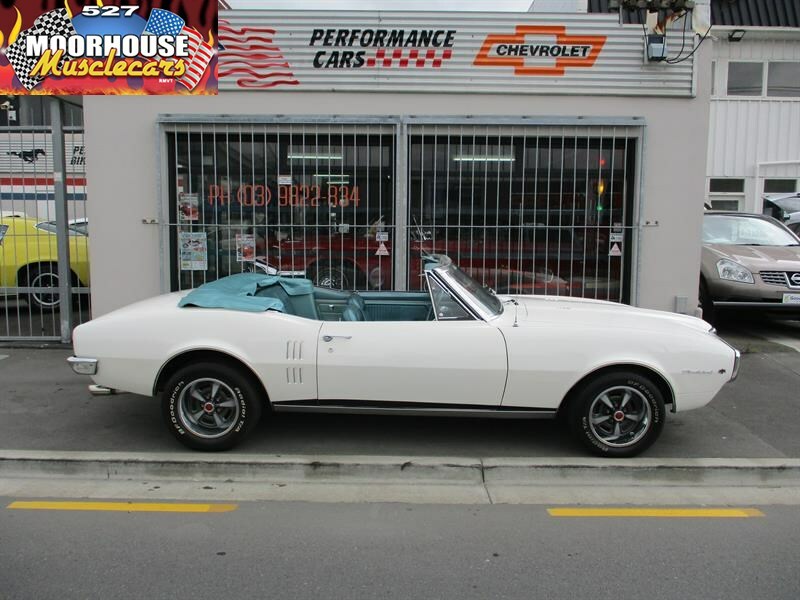 Loaded with options from day one the list includes a power operated top, power windows, power disc brakes, and power steering making this example an absolute pleasure to drive. The running gear consists of the original 326 cubic inch 4 Barrel V8 engine, coupled to a three speed automatic transmission, which performs beautifully, and with the sound of the duel exhaust system cruising with the top down in this one is truly one of life's little pleasures! 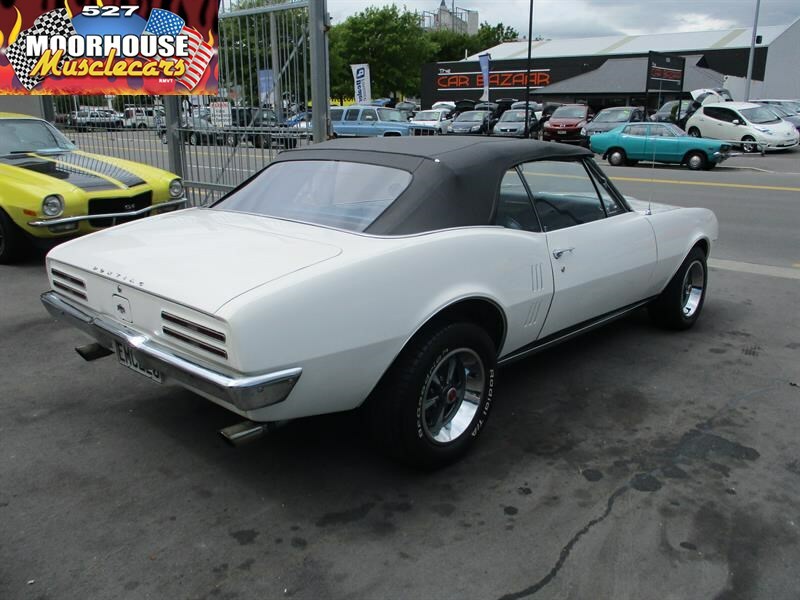 Correct Rally wheels caps and bands always look fantastic on these early Birds, and nice period styled white letter tires complete the Classic Muscle Car theme. 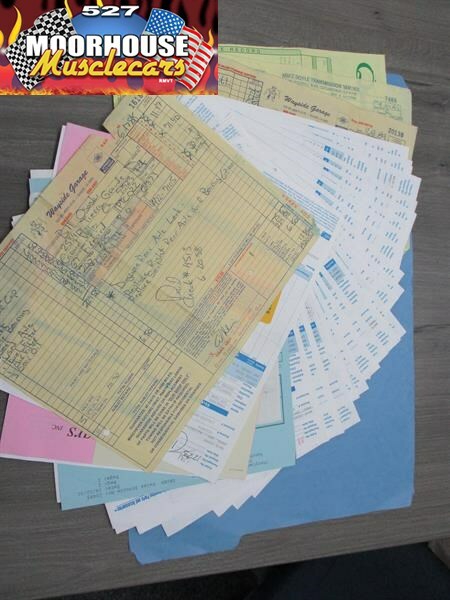 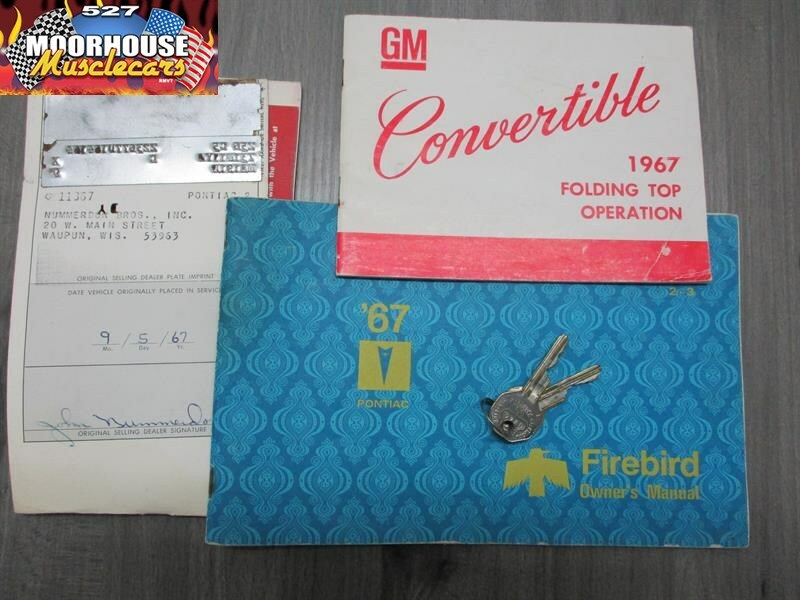 Included in the sale is the original hand book, the very rare Protect-A-Plate, original hood instruction manual, the original keys, and a comprehensive receipts file. 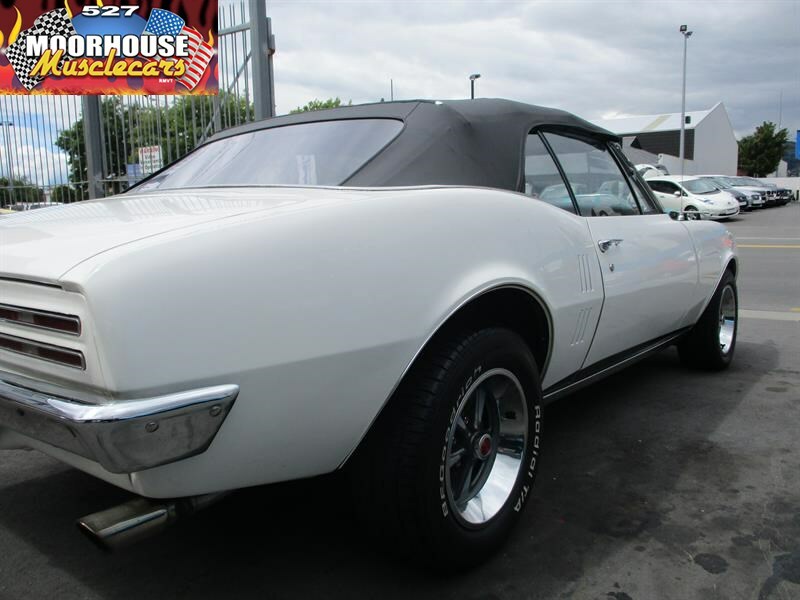 Definitely a rare and desirable example of an iconic model, and this one will be so easy to live with you won't want to get out of it! 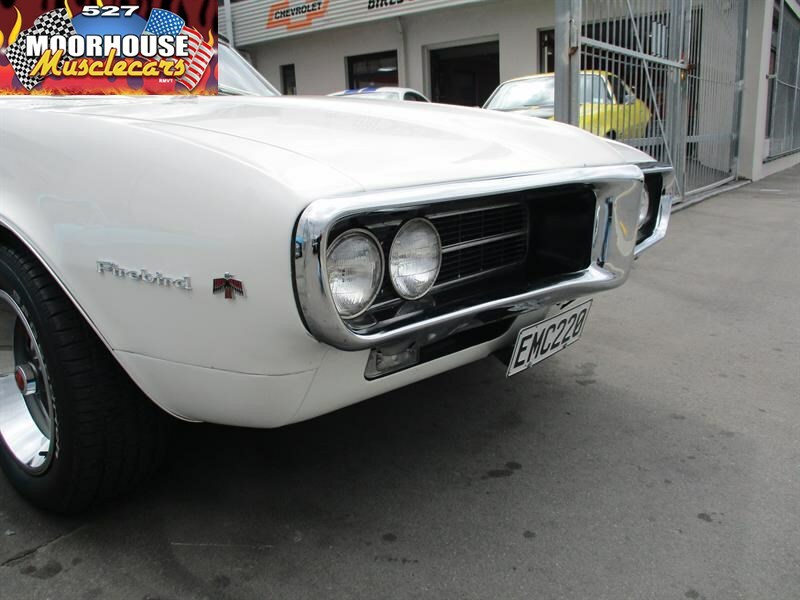 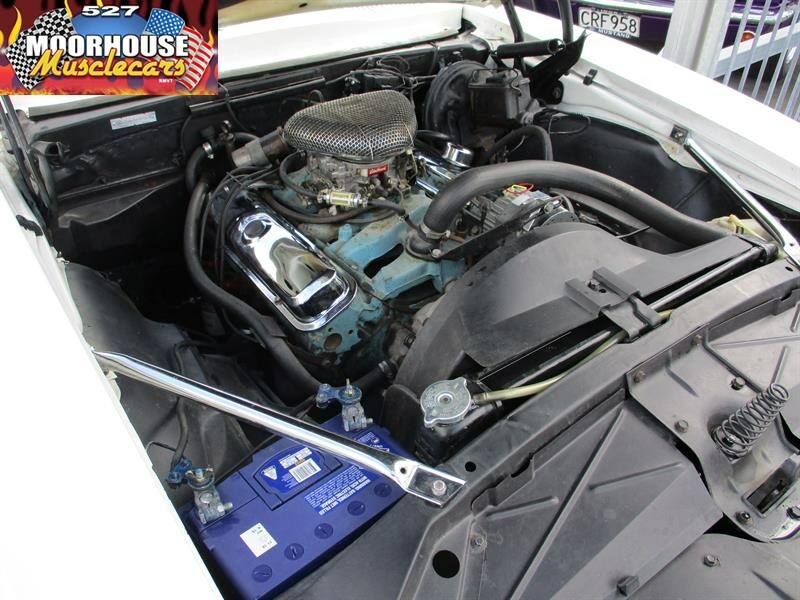 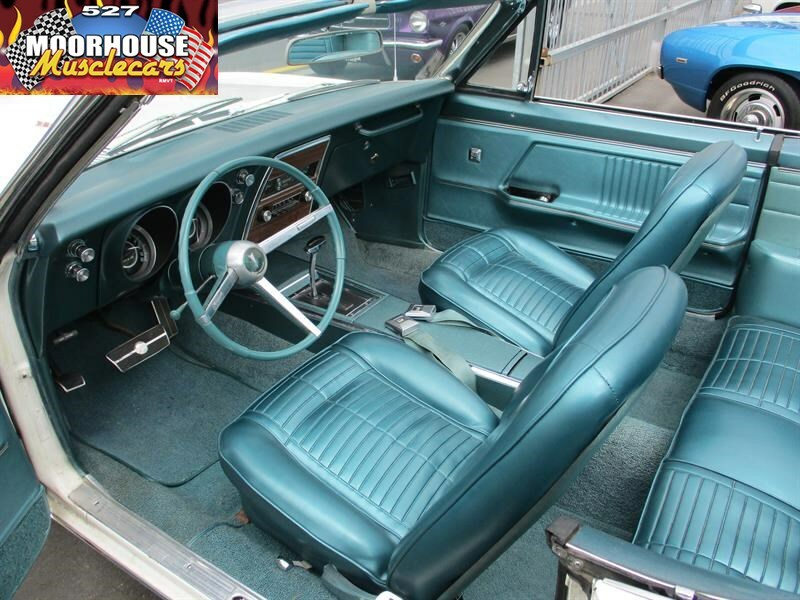 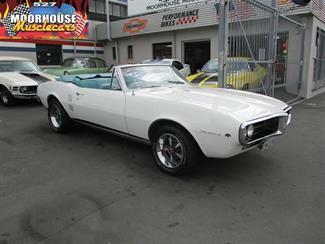 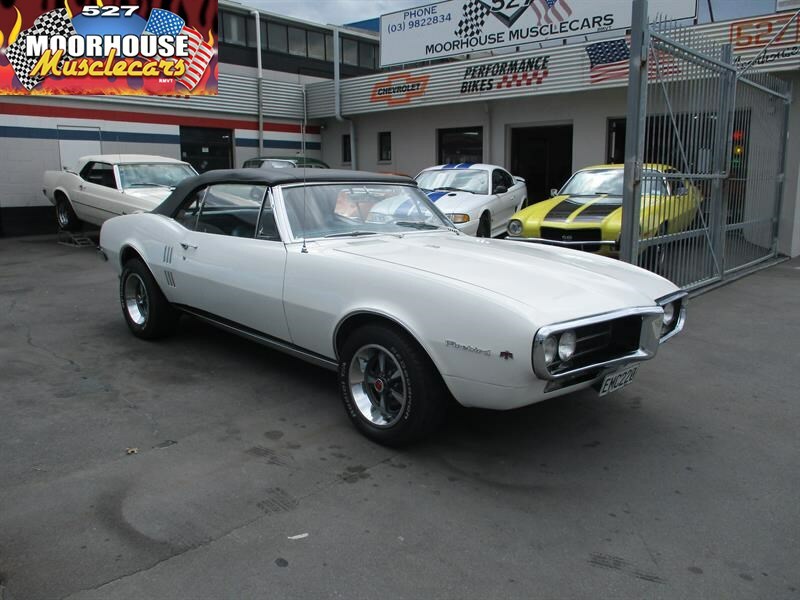 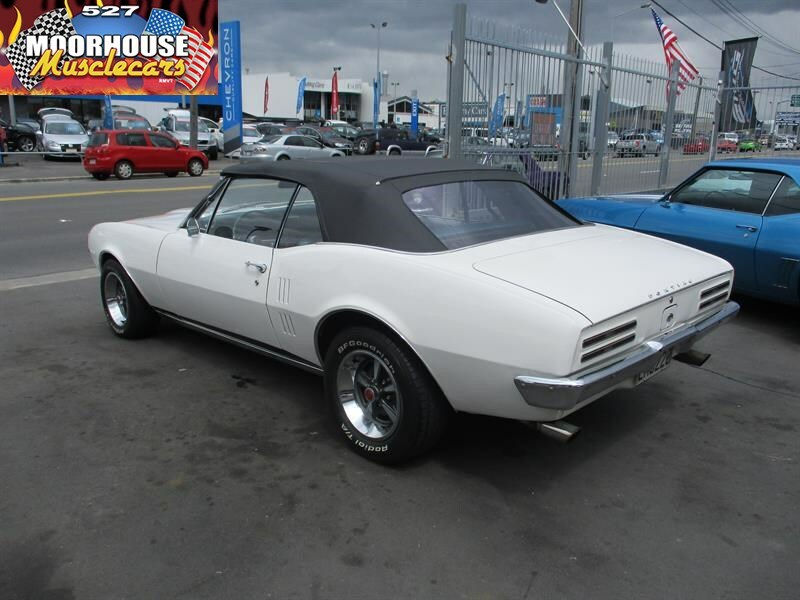 Call today for further details on this stunning First Generation Firebird.